A 16-year-old autistic boy is in police custody after authorities found four of his family members shot dead at their home. Police arrived at the family home in the seaside town of Long Branch, New Jersey, at about 20 minutes before midnight on New Year’s Eve. The boy, Scott Kologi, appears to have used a semi-automatic rifle to murder his parents, sister and grandfather’s partner, the Monmouth County Prosecutor Christopher J. Gramiccioni said in a statement on Monday, January 2. Gramiccioni described the shooting as “terribly tragic” during a press conference in Long Branch. “The grandfather of the suspect as well as the brother of the suspect thankfully left the home,” he told reporters in a video posted to the Monmouth County Prosecutor’s official Facebook page. The brother of the gunman, Steven Jr. Kologi, paid tribute to his family on social media. “I just wish I could tell all of them how much they meant to me and how much I truly loved each and every one of them because I didn’t do that enough,” he wrote in an Instagram post, according to the Daily News. Their grandfather Adrian Kologi also escaped injury. 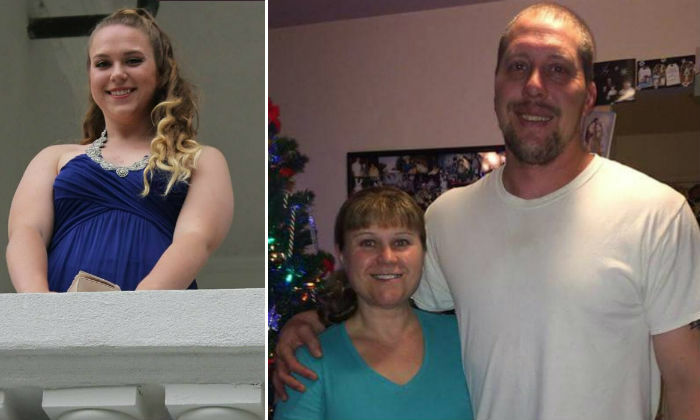 Authorities identified the slain family members as Steven Kologi, 44, Linda Kologi, 42, his 18-year-old sister, Brittany and his grandfather’s partner, 70-year-old Mary Schultz. The semi-automatic rifle was legally owned and registered to a resident of the house, Gramiccioni told reporters. Linda Kologi’s cousin, Walter Montelione, broke down in tears as she spoke in a phone interview to CBS2 about the tragic news. “The Kologis were very caring, loving people and always looking to do fun things with their kids,” he said. Family friend Veronica Mass told the NJ that she was “stunned” when she heard about the shooting. An online fundraising campaign to raise money for the family’s funeral has already raised over $18,000.